You don’t need to be a design whiz or master copywriter to create social media graphics. You do, however, need to use your resources wisely! It can be daunting to find time for social media, let alone editing photos or figuring out what size graphic you need, but your social media presence is “free” marketing (and you should take advantage of it). Why do I care? Can’t I just post a photo on Instagram and leave it at that? You can, and that’s better than no social media presence at all! But if you want to boost engagement (and ultimately your reach), it’s important to invest a little time into sharing your message. It’s a careful balance between visuals and copy (a.k.a. words), but there are tools out there that can help you navigate both. We know the nonprofit world means your time and resources are limited. So here are a few of our favourite tools to give your social media a boost quickly, and for free. Canva is amazing, particularly if you’re a nonprofit with limited time and money to focus on social media. It’s free to use and offers endless templates for you to add text, swap out photos and get inspired to make your social media presence engaging. Pro tip: Canva for Work allows you to build a “brand kit” with your colours and assets, collaborate with team members and resize graphics with ease. For nonprofits, it’s free. CoSchedule offers a range of resources, but our favourite is their Social Media Optimizer. This allows you to optimize your social media messaging to boost engagement, connect with your audience and drive traffic. It’ll help you customize your social media for every network, and even give you some insight into how to use #hashtags to your advantage. If you have no time at all, Instagram offers filters and simple editing to improve your photos before posting. But if you have five minutes (and it’s worth taking those five minutes! ), you can improve your images, ultimately increasing the likelihood that your audience stops to look at your post. This is especially important when multiple people are taking photos, maybe in workshops or at events, to add a sense of consistency. Using the same general photo edits or filters (we like Pop and Morning!) will give your feed a cohesive look, encouraging your audience to buy in to your brand and take you seriously. Have no budget but need to keep things in one place? Hootsuite will let you add up to three social media platforms for free (though they don’t love to advertise the free one, you can find it here). From Hootsuite, you can plan ahead, post on social media, and monitor your feed. You can also monitor other feeds, like local businesses or people who tag you in their posts – this makes it easier to share and interact (which will boost your overall engagement)! So you’ve got a few tools, but you don’t know where to start? 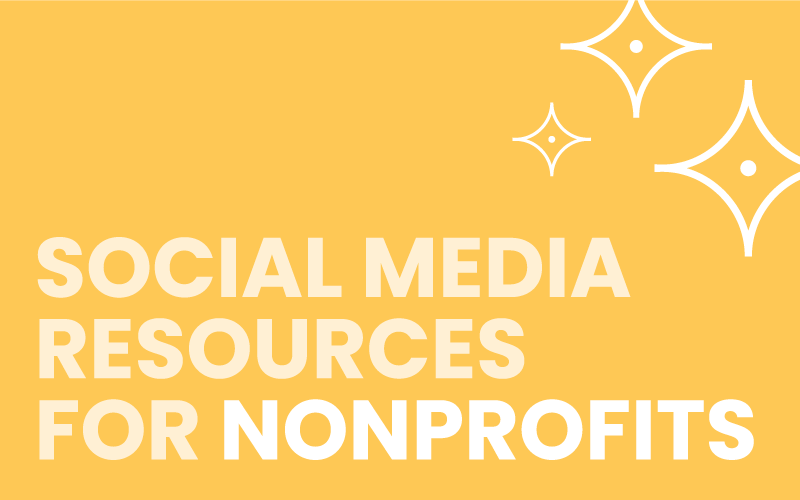 We’re inspired by the work of these nonprofits, and they have great social media to boot!